February is here and I’m getting ready to sow my wild oats! 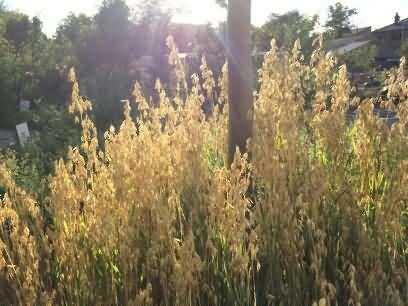 Oats, avena sativa, are humble healing wonders of the plant world. They most likely arrived as a weed, self-seeding their way into the fields of the first European farmers – the phrase ‘sowing your wild oats’ hints at how easily this plant can spread. As luck would have it, this accidental crop turned out to be hardier than other grain cereals like barley, wheat and rye, and more nutritious too. Oats contain the highest levels of iron, zinc and magnesium of all the grain species. Research shows that oats can lower blood cholesterol when eaten regularly as part of a healthy diet. And on cold mornings, what better way to start the day than with a bowl of hot porridge? Before they turn golden for the harvest, green oats go through a ‘milky’ phase, when the fresh unripe seeds are plump and juicy. 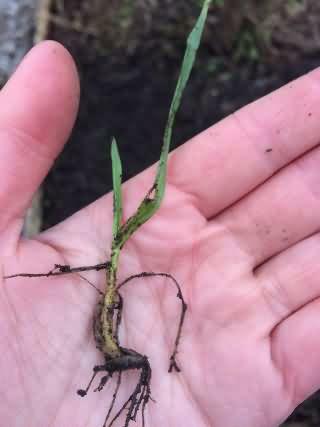 This is when oats are at their most potent for medicine, just before the seed hardens into the ripe grain. 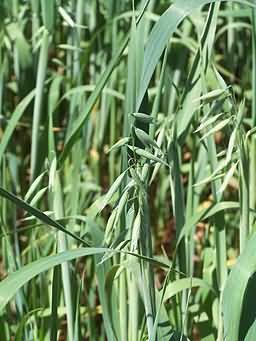 The freshly picked oat seeds and the green stems, or oatstraw, can be extracted in alcohol to make a tincture, or infused in water to make a tea. Taken as a medicine, oat seed works wonders for stress, anxiety, exhaustion and depression. It soothes and nourishes from the inside out. Oatstraw has similar properties to the seed and can be particularly helpful in supporting people who are recovering from an addiction. Used externally, they are also excellent for soothing and nourishing the skin. If you suffer from dry, sensitive skin or eczema, a traditional oatmeal bath is an wonderful, simple home-made remedy: fill a muslin bag (or a clean sock) with oatmeal or porridge oats, and tie it under the running tap to release the milky emollients from the oats into the bathwater. Once the bath is full, you can use the water-softened bag of oats as a ‘sponge’ for washing, squeezing the oat milk directly onto your skin. 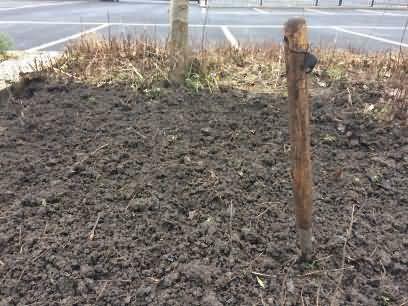 Here in the apothecary garden, we have been preparing the ground for this year’s crop of oats, which we will be sow in our tiny ‘meadow’ at the base of the plum tree. Some of last year’s seeds which escaped the harvest have already sprouted, in spite of the recent ice and snow, showing just how resilient this herb can be. 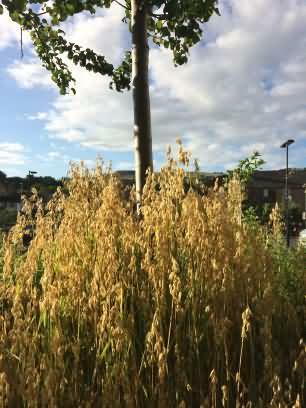 Come August, the mature oat stems will give us a lovely little harvest of ripe oat seeds ready for rolling into porridge oats or grinding into oatmeal. They are a classic example of how your food can be your medicine and your medicine your food. The loveliest thing about this gentle herb is that its benefits can be enjoyed by almost everyone: the only people who should avoid it are coeliacs who may be affected by the gluten present in the grains.